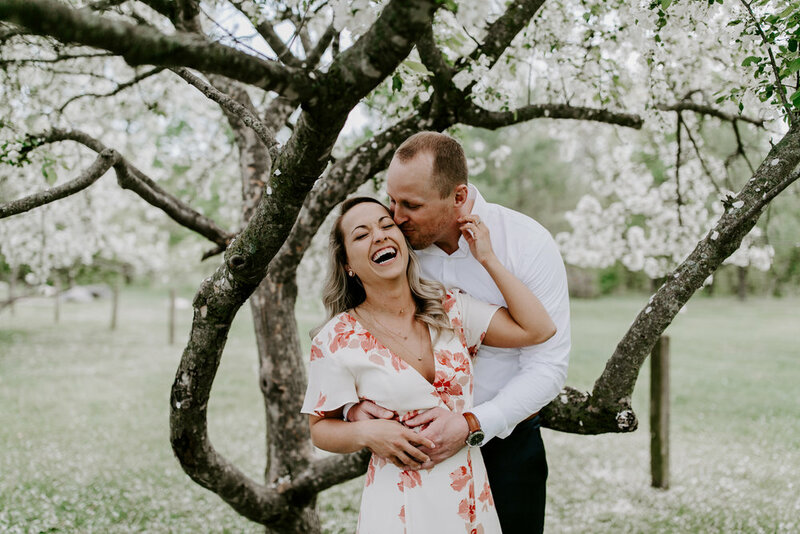 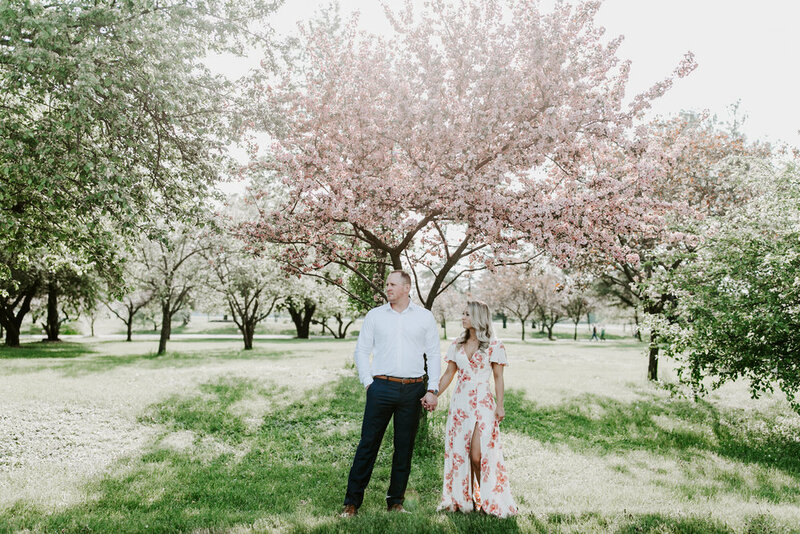 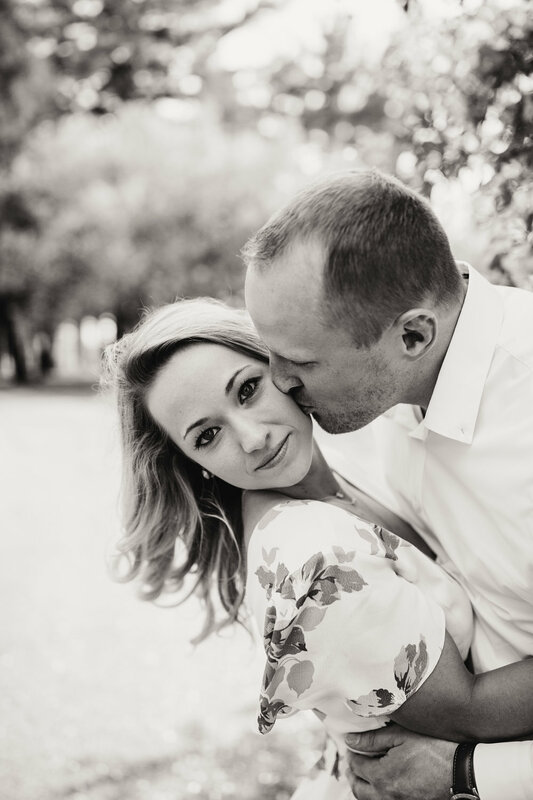 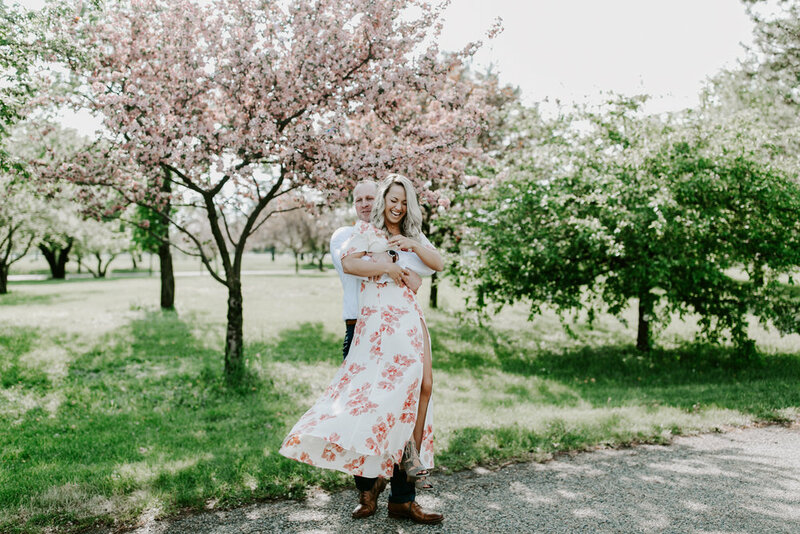 This is the PERFECT week to blog this gorgeous springtime engagement session in Des Moines, IA with these two because they are getting married this Saturday! 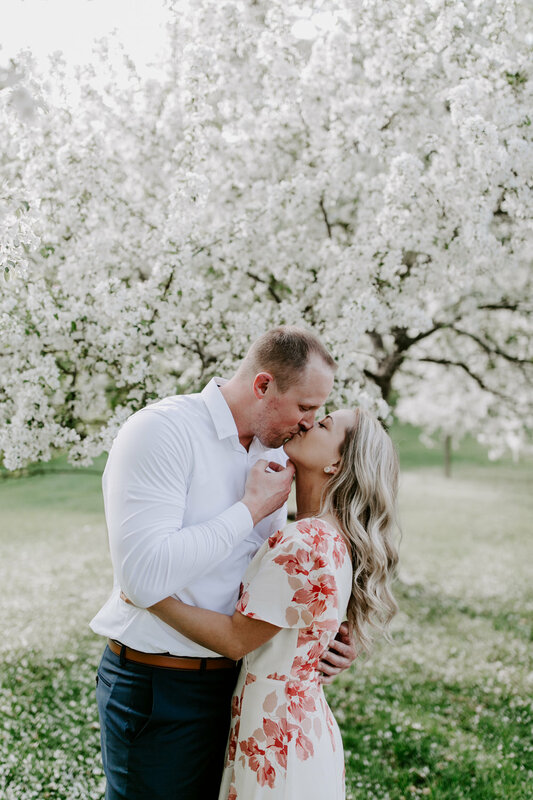 I was super lucky and got to do TWO engagements with these two, and got to spend more quality time with them before their wedding! 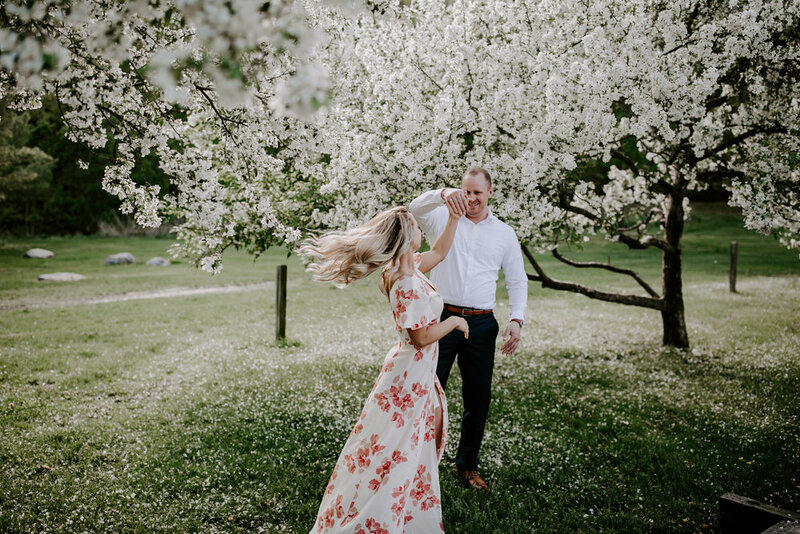 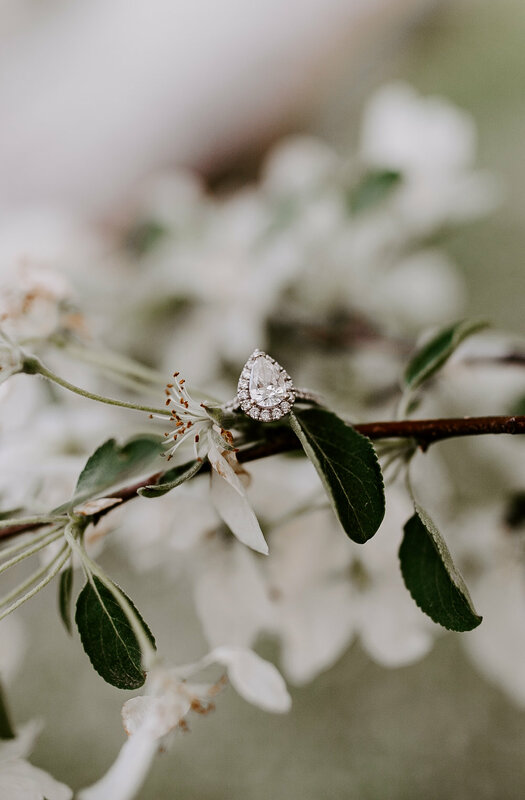 We waited until the PERFECT time to catch these blooms in action (and believe me, these blooms are there then GONE in the blink of an eye) and we were SO lucky to shoot when we did because they were gone 3 days later! 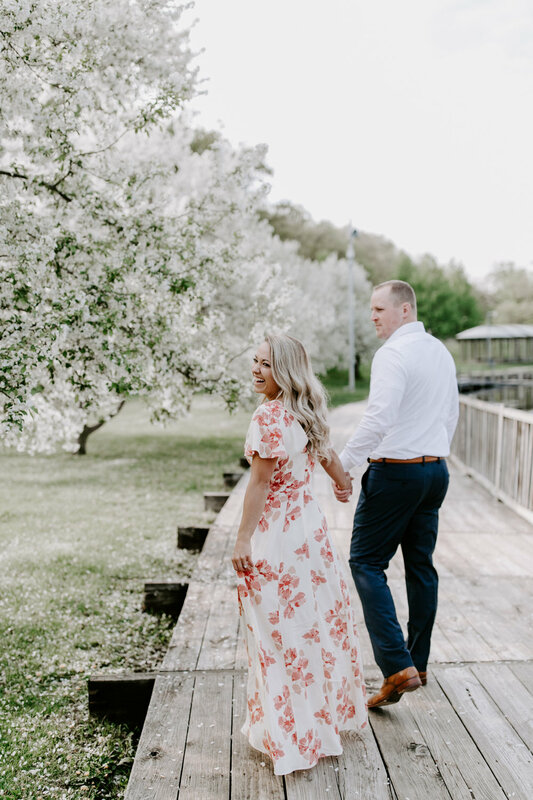 Gabby dreamed of the white blooms, a flowy dress, and her and Brennen being all cute in front of my camera for this shoot. 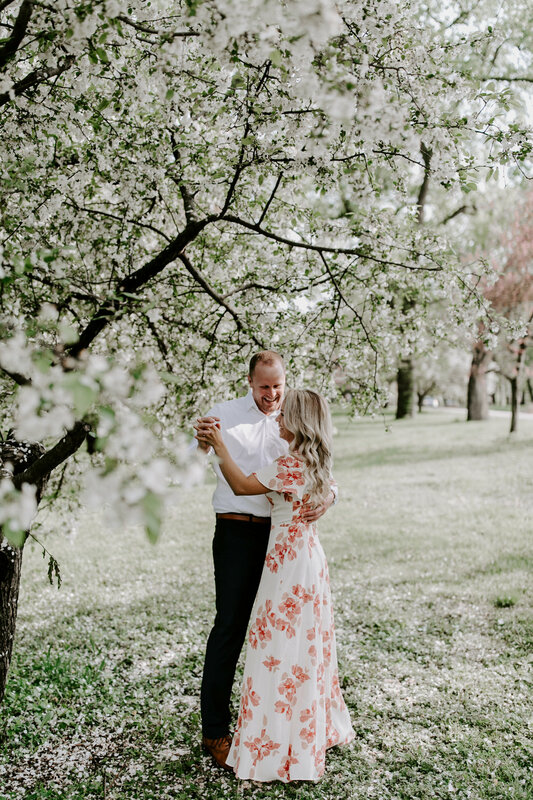 I set the mood with some slow jams and we made some magic! 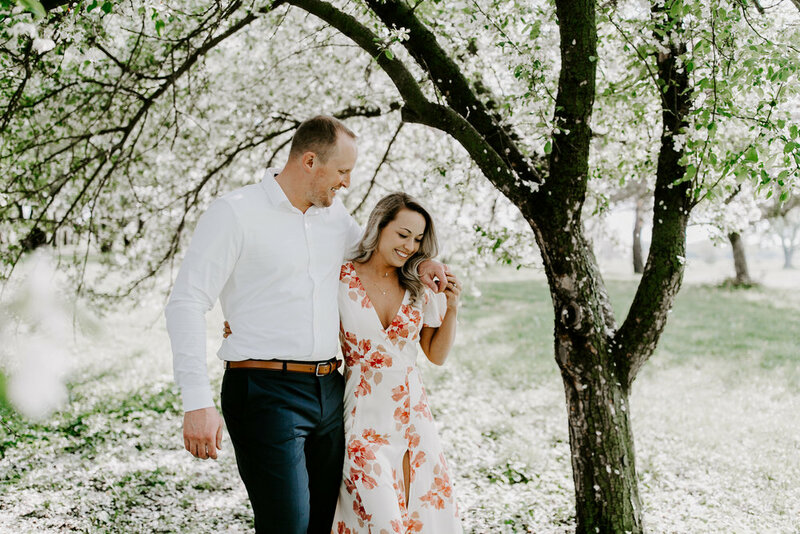 I can't wait for their wedding this weekend in Waterloo, IA and these two are going to kill the husband & wife game. 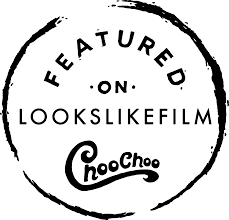 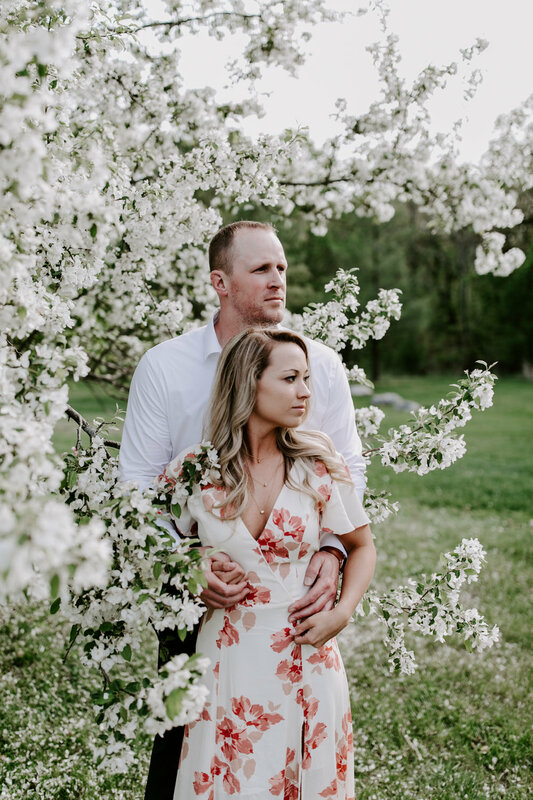 Scroll down to see some gorgeous spring blooms and a beautiful couple!